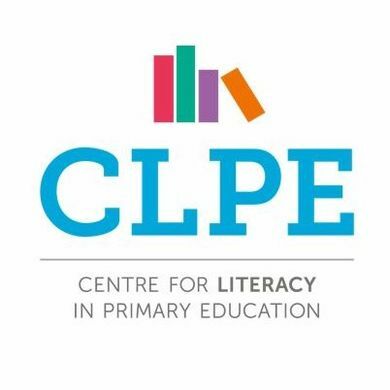 The Centre for Literacy in Primary Education (CLPE) has announced the 2018 shortlist for the CLiPPA (Centre for Literacy in Primary Poetry Award). Established in 2003, the CLiPPA encourages and celebrates outstanding poetry published for children. This year sees the largest ever number of poetry book submissions following a bumper year for eligible poetry. The 2018 shortlist celebrates and highlights the diversity of voices in the UK poetry scene. From debut collections Sue Hardy-Dawson’s Where Do Zebras Go and Karl Nova’s Rhythm and Poetry, to the legendary John Agard’s The Rainmaker Danced. From books already receiving recognition – Sarah Crossan’s Moonrise and Joseph Coelho’s Overheard in a Tower Block – to the Rising Starscollection celebrating under-represented voices publishing their poems for the first time. The shortlist is evenly split between 3 previous winners and 3 debut collections, with 3 out of the 6 shortlisted books coming from independent publisher Otter-Barry Books. This year has seen an increase in submissions of almost 70%, from 19 books from 9 publishers in 2017 to 32 books from 19 publishers in 2018. · John Agard: The Rainmaker Danced, illustrated by Satoshi Kitamura, Hodder – witty and satirical poems that focus on social observations, play with myths and traditional tales and reflect on the nature of humanity. · Ruth Awolola, Victoria Adukwei Bulley, Abigail Cook, Jay Hulme, Amina Jama: Rising Stars, Otter-Barry Books, illustrated by Riya Chowdhury, Elanor Chuah and Joe Manners – a showcase for five fresh and exciting emerging writer-performers. · Joseph Coelho: Overheard in a Tower Block, illustrated by Kate Milner, Otter-Barry Books – a powerful collection, offering glimpses into the challenges of a boy’s life, ingeniously threaded through with fantasy, story, myth and magic. · Sarah Crossan: Moonrise, Bloomsbury – a moving verse novel for young adults, seen from the viewpoint of a young man whose brother is on death row. · Sue Hardy-Dawson: Where Zebras Go, Otter-Barry Books – a first solo collection uniting a variety of voices with a wide range of poetic forms. · Karl Nova: Rhythm and Poetry, illustrated by Joseph Witchall, Caboodle Books – the first published collection from a Hip Hop poet, demonstrating the currency and significance of rap as a form, especially for young people. The winner of the 2018 Award will be announced on 22 June in the Olivier Theatre at the National Theatre in London. This will be the fourth year that CLPE has partnered with the National Theatre to deliver the Poetry Show which will include performances from children participating in the Shadowing Scheme and the shortlisted poets. The winner of the Award will receive £1,000. Former Children’s Laureate Chris Riddell will live-draw the Award Ceremony.